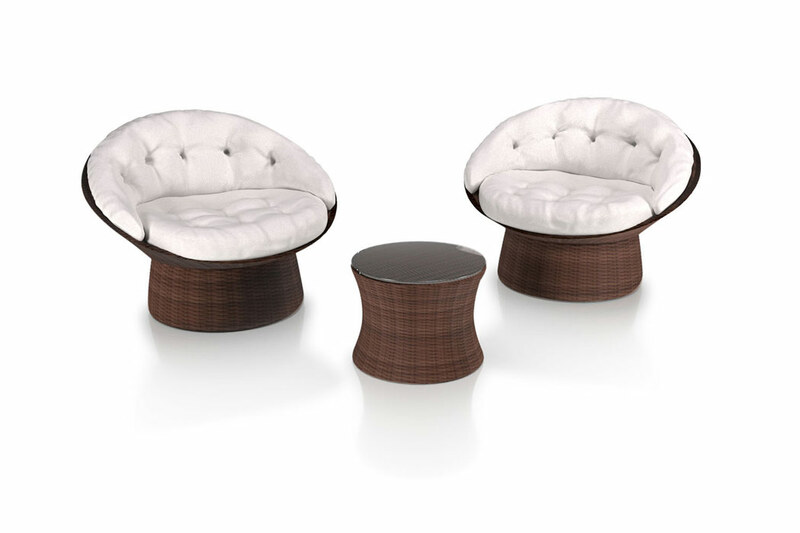 CALIPSO Rattan Swivel Chair Set - Give us a twirl! If you’ve ever been lucky enough to sit in the warm afternoon sun in such a chair you’ll know how enjoyable such an experience can be! And there is no swivel chair that’s more comfortable than the CALIPSO rattan swivel chair. You can always move your chair in the direction that the sun is shining, simply by moving your foot. Once you sit down on one of the CALIPSO chairs you won’t want to get back up! 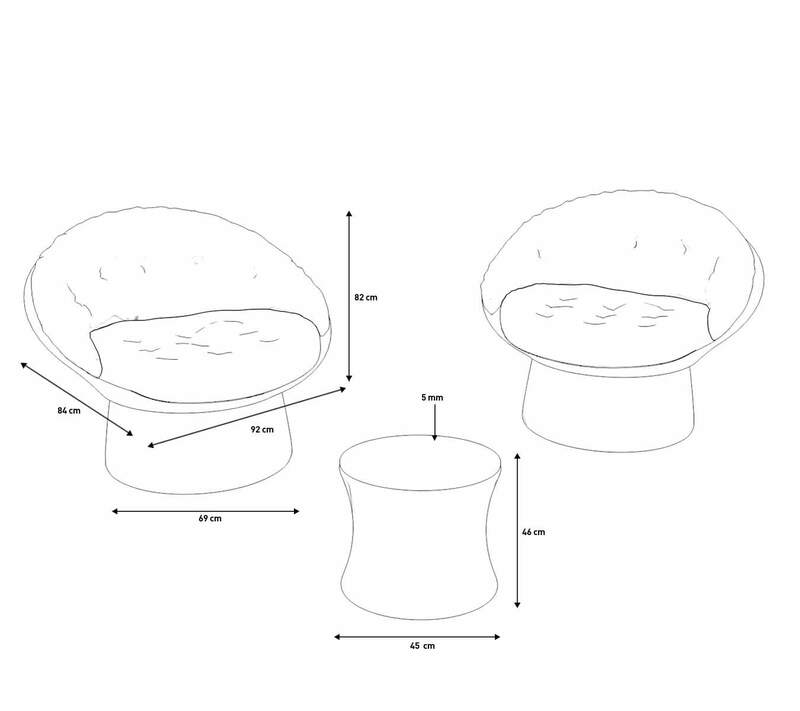 The CALIPSO set consists of 2 swivel chairs and a matching coffee table, which has a 5mm thick safety glass table top. The weather-proof rattan is carefully woven around a light-weight, powder-coated aluminium frame. The seats are lined with thick, luxurious cushions. A must-have for every sun worshipper! The set will be delivered unassembled. Some self-assembly is required!